The Arecales is an order of flowering plants containing the single family Arecaceae Syn. Palmae. (Palm Trees). These are woody tropical plants, often with a single trunk crowned with large fan (palmate) or feather (pinnate) leaves. The fossil record for Palms extends at least 80 million years from the present day back into the late Cretaceous. The Arecaceae are of great importance as a source of nuts, edible fruits, starchy foods, oils, fibre, thatch and woods and have been cultivated for thousands of years. 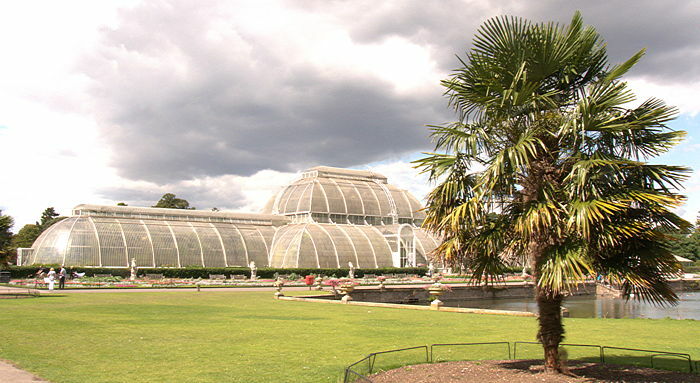 A fine collection of Palms may be seen in the Palm House, Temperate House and elsewhere in the Royal Botanic Gardens, Kew.